I felt the year is going to end so soon (at least for me). The month is going to be festival month of Christmas and welcome New Year too. I have planned some recipes for Christmas will do one by one and share with you all. Ok! 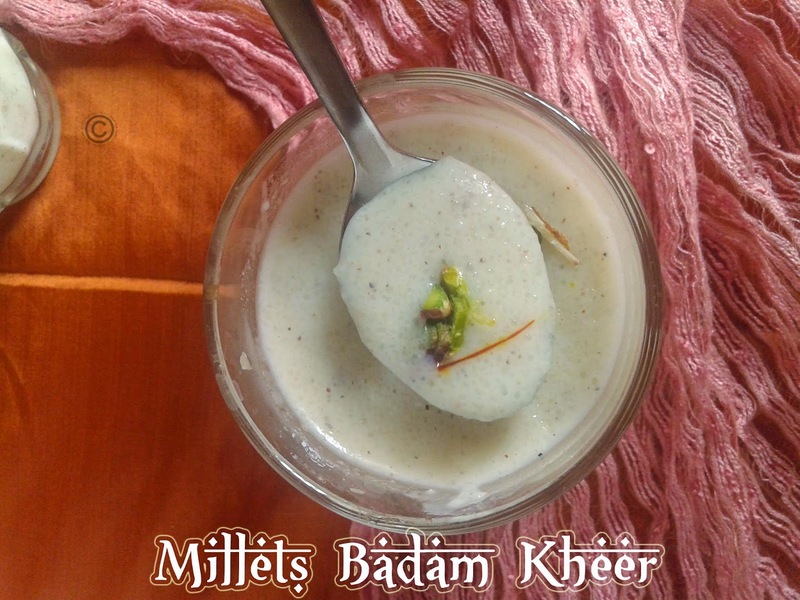 Coming to the post, I have prepared simple, nutritious yet delicious kheer with mixed millets. 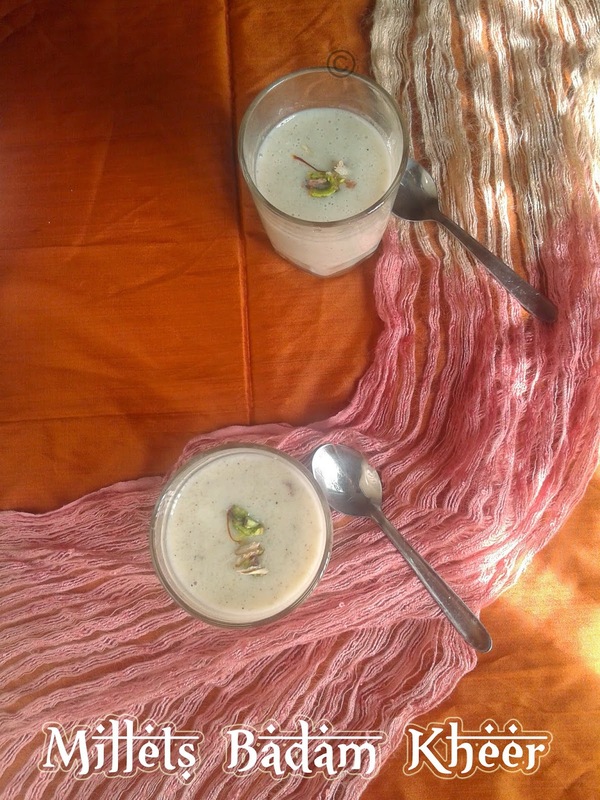 I prepared the recipe for Shhh cooking secretely challenge who is the brainchild of Priya aks. 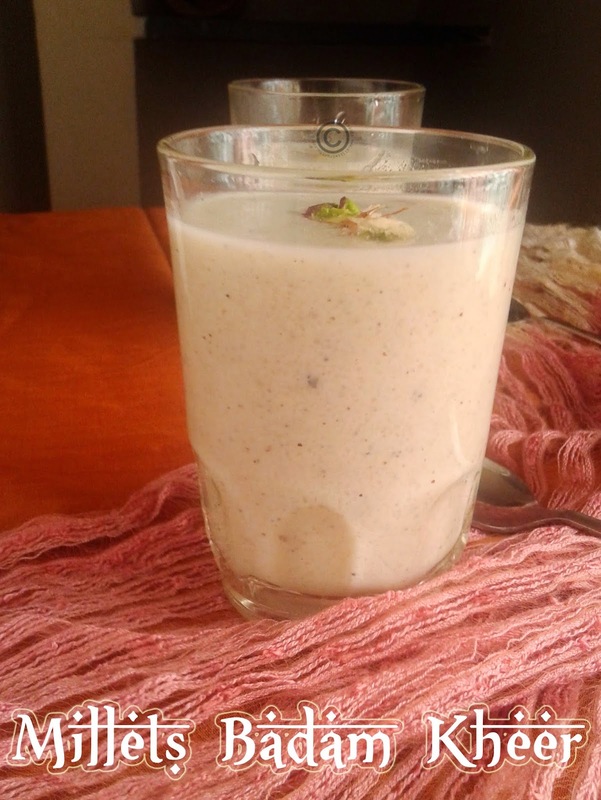 I paired with Anu, and she gave me almonds and milk as the secret ingredients… I tried instant badam kheer with MTR badam drink mix and it was awesome outcome. 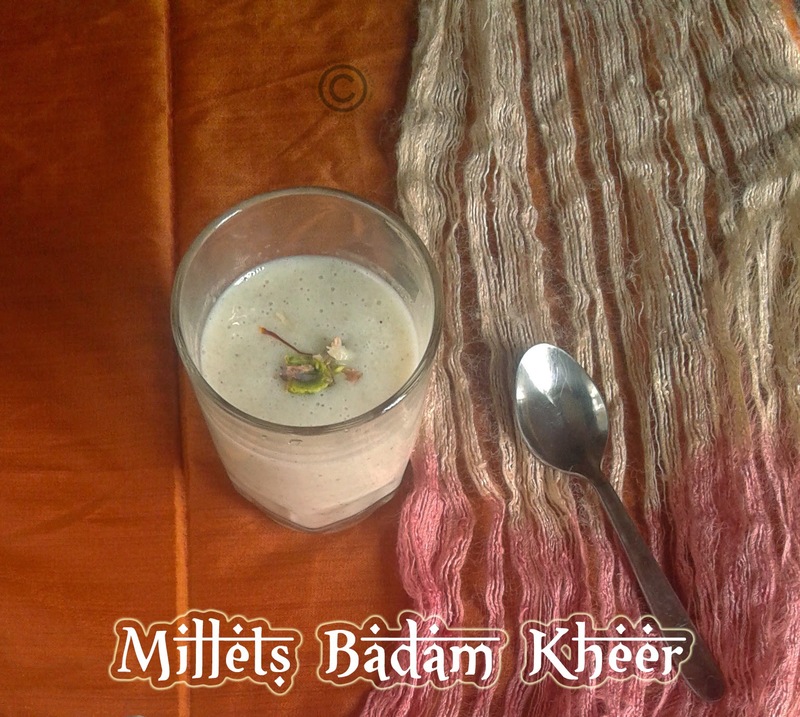 I already shared mixed millet powder and rava few days back. 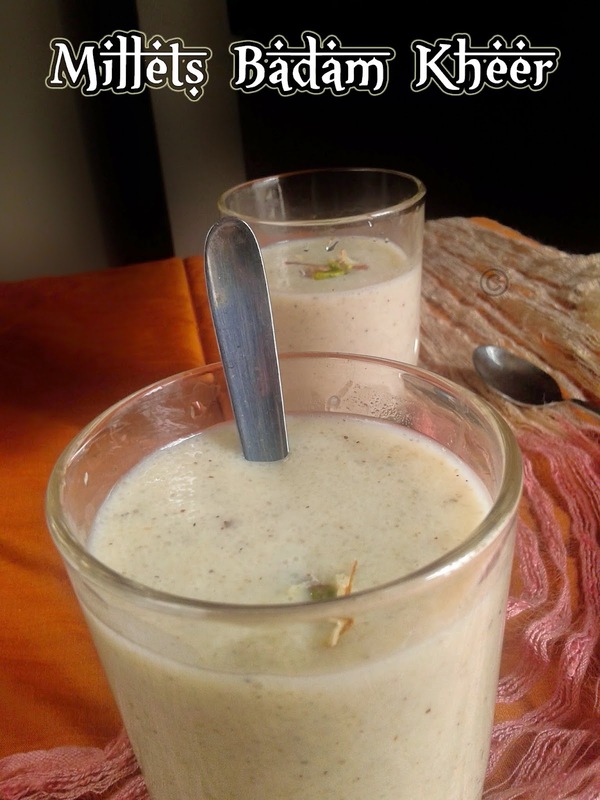 You can make the payasam just in 10 minutes to surprise your family or friends… The rava is mixed of millets, dals and nuts so it will be high taste level with a creamy texture. 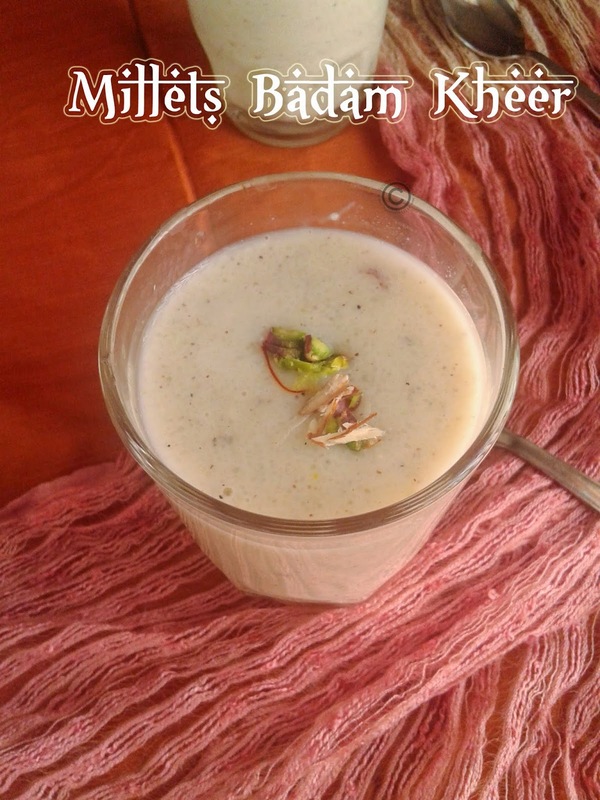 Boil the water and then add millet rava, cook it for 2-3 minutes. It gets thicken. Now add cardamom powder and sugar mix it well. Then add condensed milk, MTR badam mix to the mixture and stir it well and allow cooking for 2 minutes on low flame. Add pinch of salt, stir it well and then add boiled milk. Let it cook for 2 minutes on low flame and then swich off the flame. If you don’t have millets, add semolina or vermicelli. Salt added will enhance the sweetness. If you wish you can add ghee roasted cashew nuts and raisins. It gets thicken when cools down, so add little milk and stir before servings. so yummy and mouth watery dish. Just loved it. I wish I could make it once but I fail every time.